It is suitable for smaller things such as cotton pads, cotton swabs, bath salts or bath tablets. 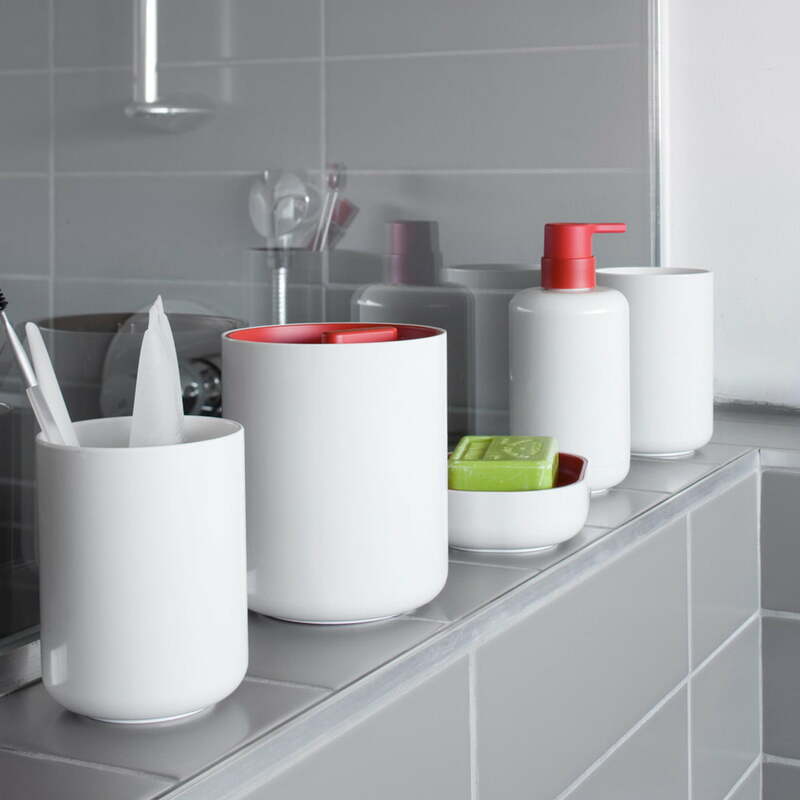 The container with lid is from the Lunar bathroom collection by designers Edward Barber and Jay Osgerby. It is made of ABS plastic and is easy to clean. The container has a capacity of 0.6 litres.Like other products in the series, the container features a round design and has no corners.Lunar impresses with a combination of thick-walled, high-gloss ABS plastic and frosted, coloured inserts. Read how customers have rated this product. 2 of 2 customers have found this review helpful. Completely satisfied with quality. Looking great as well! 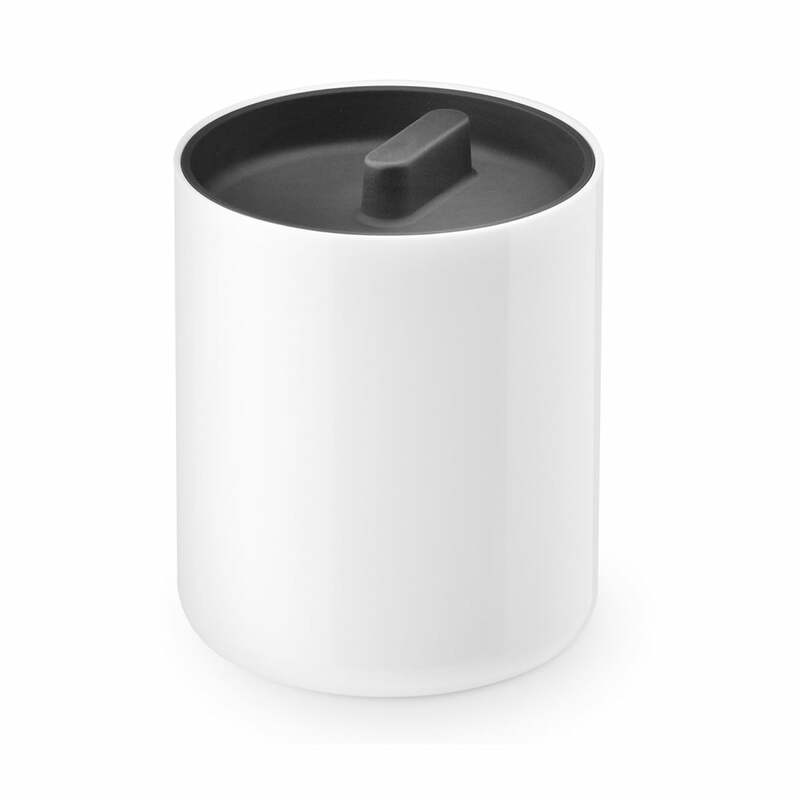 Individual image of the Lunar container with lid by Authentics in white / blackThe container with lid from the Lunar bathroom collection by Authentics is a stylish cylinder with a coloured lid. 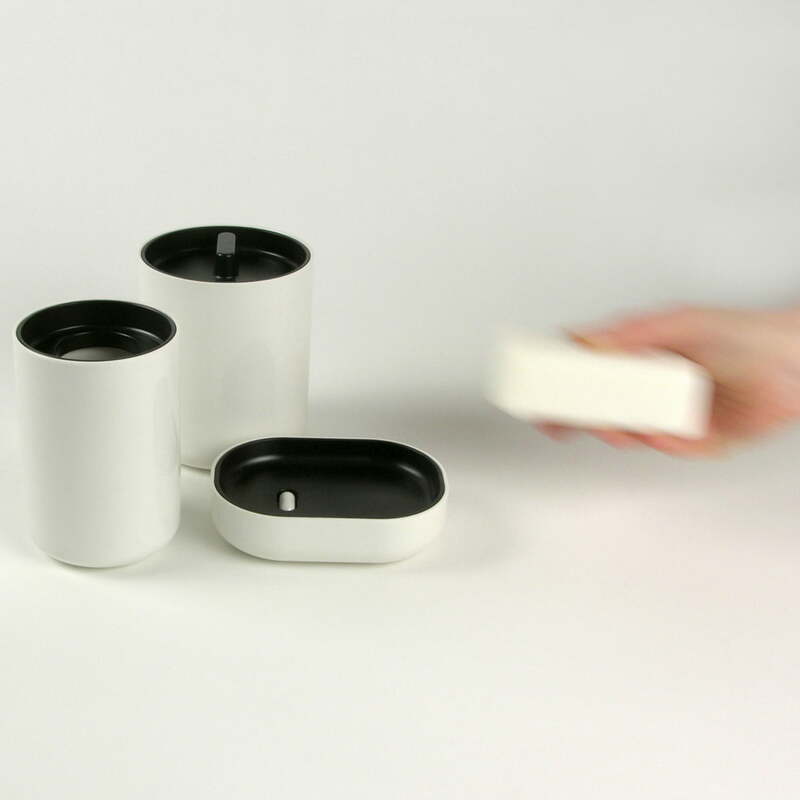 The lidded container is part of the Lunar bathroom collection by designers Edward Barber and Jay Osgerby. It is made from ABS plastic, like the toothbrush cup and soap dish, and is easy to clean. 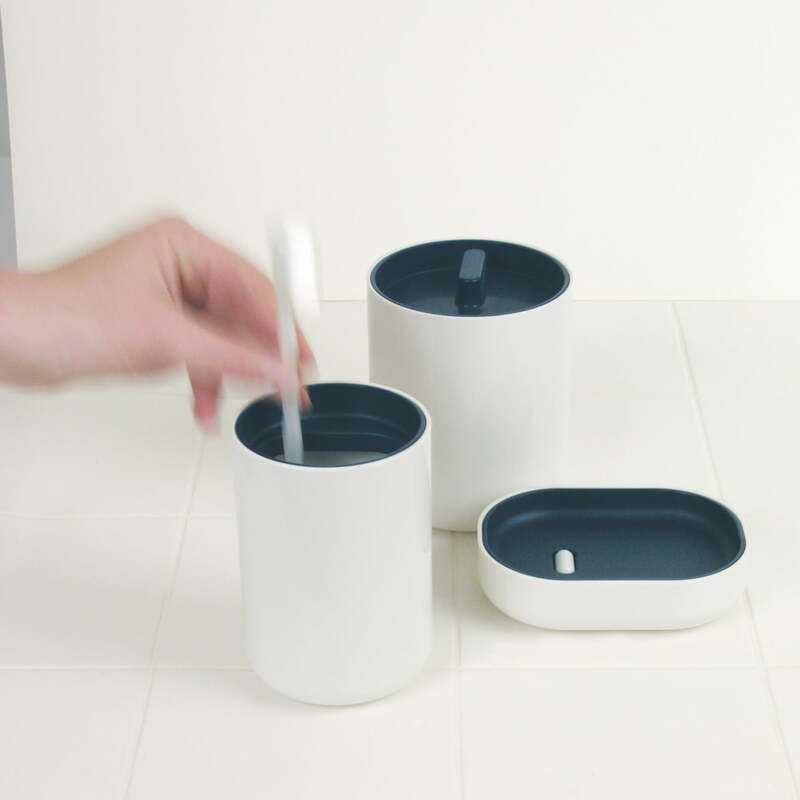 The Lunar soap dish as well as drinking cup, soap dispenser and container are part of the similarly-named collection by Edward Barber and Jay Osgerby for Authentics. Simple and functional bathroom accessories.